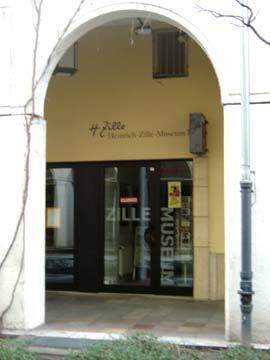 The private Zille-Museum at the Nikolai-Quarter is dedicated to the popular 'Pinselheinrich' (Paintbrush Heinrich). In honour of Zille's 150 birthday several exhibitions and events took place. 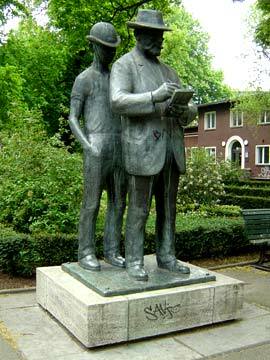 Berlin's honorary citizen Heinrich Zille (1858 – 1929) was considered especially as illustrator of the Berlin 'Milljöh' (milieu in the Berlin dialect); his themes were the common people, Berlin's dark backyards, the 'Zille-children', everyday life on the streets and the block of flats in Berlin. Operator: Heinrich- Zille- Gesellschaft Berlin e.V. Heinrich Zille was born in Radeburg near Dresden and grew up in poor circumstances. After the family's move to Berlin Heinrich Zille took up an apprenticeship as a lithographer. He studied at the same time as an evening-school student at the 'Königliche Kunstschule' (Royal Art School) with Professor Theodor Hosemann (1807-1875). After his graduation, Zille becomes an assistant at the Photographische Gesellschaft in Berlin. Later work by Zille is being exhibited by the 'Berliner Secession'. He published his drawing in the magazines 'Simplicissimus', 'Jugend' and 'Die lustigen Blätter'. 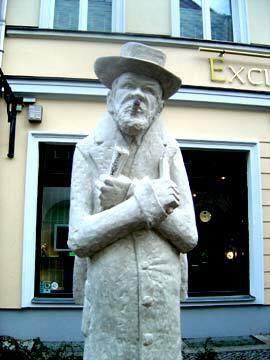 In 1903, he is admitted to the 'Berliner Secession'. From 1907, after he lost his job from a 30-year employment at the Photographische Gesellschaft, he lived now as an independent artist. 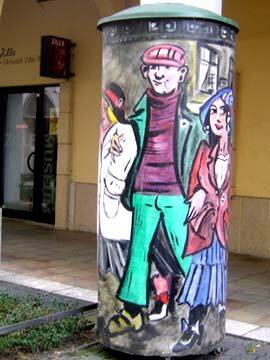 He published his drawings in an illustrated book 'Kinder der Straße' (Street Children) as well as in further portfolio works, in the illustrated book 'Mein Milljöh' (My Milieu in Berlin dialect) as well as in the cycles 'Hurengespräche' (Whore Conversations) and 'Berliner Luft' (Berlin Air). In 1924 Heinrich Zille is being admitted to the Prussian Academy of Arts by a proposal from Max Liebermann and he was honoured with a professorship. Zille's grave of honour is situated at the Südwestfriedhof in Stahnsdorf.